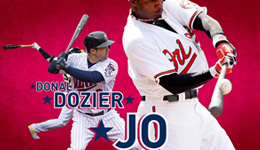 Gameplan Creative produced a 3-D motion graphic animation for the 2016 Home Run Derby at Petco Park in San Diego. 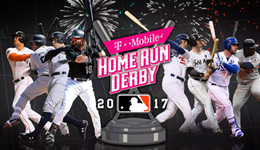 The goal of the animation was to create a mood setting that MLB would share with it's partners to inspire the sense of restored excitement for the once very popular Home Run Derby. The animation centers on the handsome HR Derby trophy and includes the 4:00 countdown clock as well as distance tracker elements, key features that have rebranded the event. The logo font in the animation was then repurposed into more conventional print, banner and web applications.